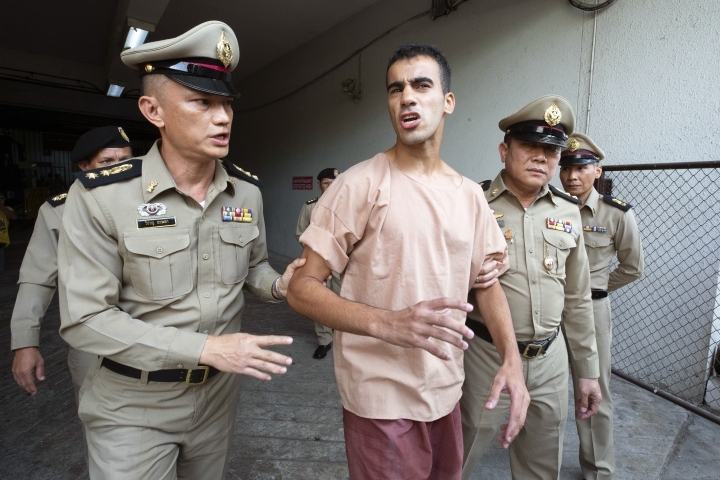 Australia has urged Thailand to exercise its legal discretion by releasing refugee footballer Hakeem al-Araibi. Australian Foreign Minister Marise Payne says in a statement Thailand's office of the Attorney-General has publicly confirmed that Thailand's Extradition Act allows for executive discretion in such cases. She says this was also confirmed by the prosecutor in the context of yesterday's hearing. Payne says her government continues to advocate on al-Araibi's behalf at the highest levels in both Thailand and Bahrain. He has refugee status in Australia, where he lives and plays for a semi-professional team, and was traveling on vacation. 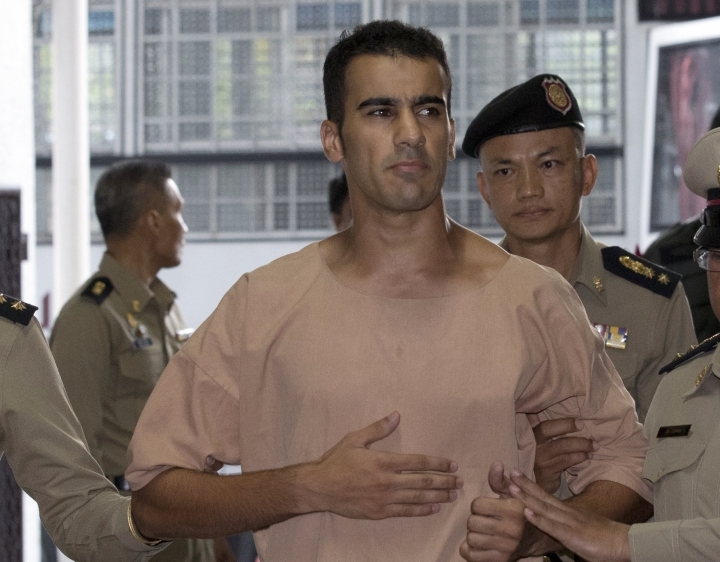 The soccer players' union in Australia has called on the International Olympic Committee and soccer's governing body to consider sporting sanctions against Thailand and Bahrain following the continued detention of refugee footballer Hakeen al-Araibi in Bangkok. Professional Footballers Australia chief executive John Didulica in a statement called the detention "a flagrant breach of (al-Araibi's) internationally accepted human rights as an Australian permanent resident and refugee." 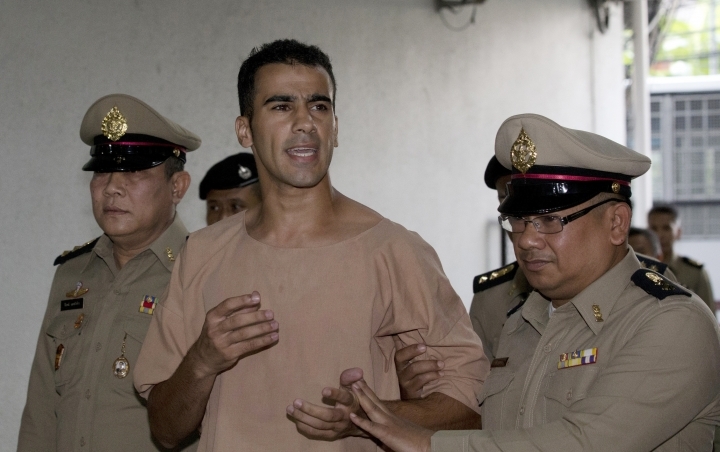 Al-Araibi has been held in Thailand because Bahrain has asked for his return to serve a prison sentence for a crime he denies committing. He has refugee status in Australia, where he lives and plays for a semi-professional team, and was traveling on vacation. 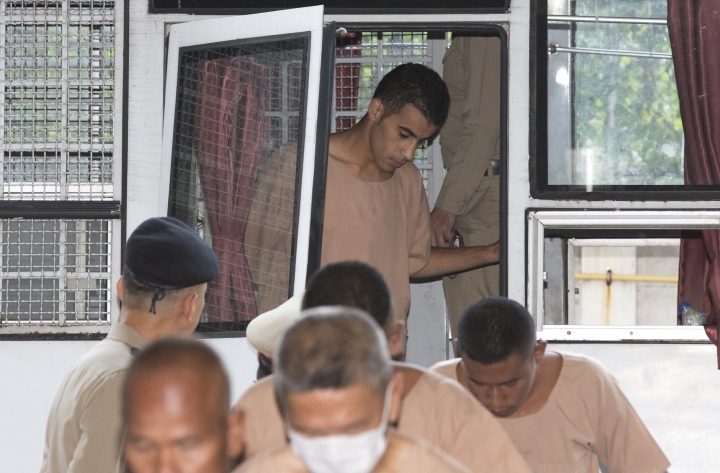 A Bangkok court set an April 22 date for a next hearing after Al-Araibi refused to be voluntarily extradited to Bahrain. 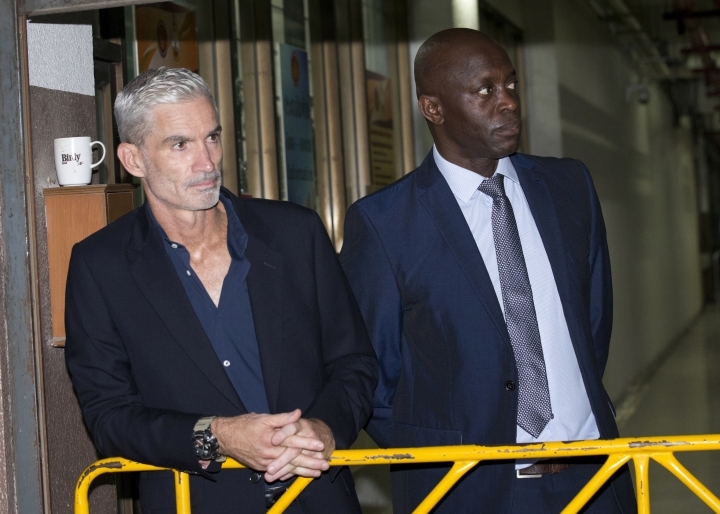 A soccer player who has refugee status in Australia has told a Thai court that he refuses to be voluntarily extradited to Bahrain. His home country has asked for his return to serve a prison sentence for a crime he denies committing. 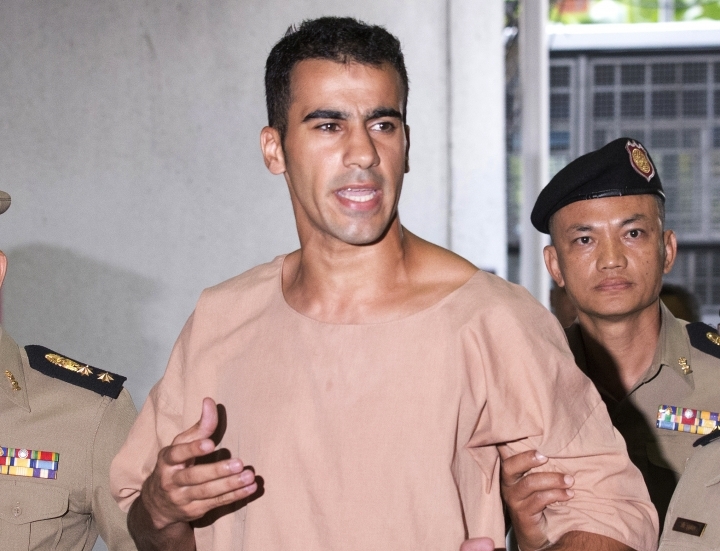 Hakeem al-Araibi's rejection of extradition means a trial will have to be held to determine whether Thai authorities will send him to Bahrain, where he fears he is at risk or torture, or release him so he can return to Australia. The Bangkok court set an April 22 date for a next hearing. 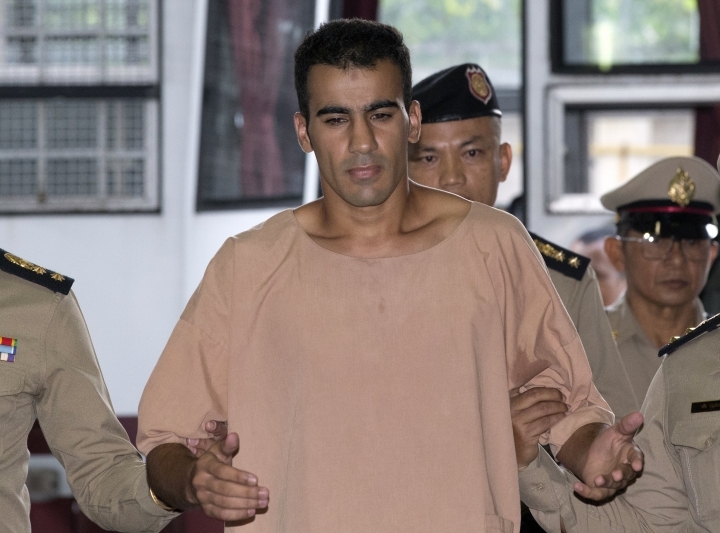 Thai officials previously said a trial could be a lengthy process, depending on how many witnesses are called by each side. 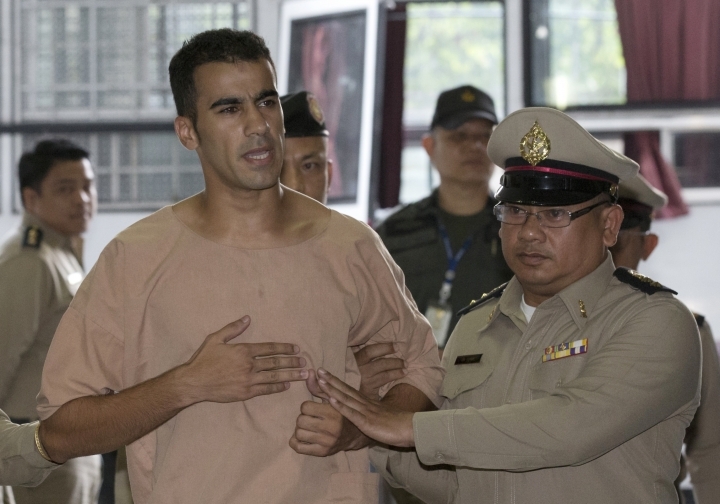 A soccer player who has refugee status in Australia has pleaded for Thailand to not send him home to Bahrain, which is seeking his extradition to serve a prison sentence for a crime he denies. 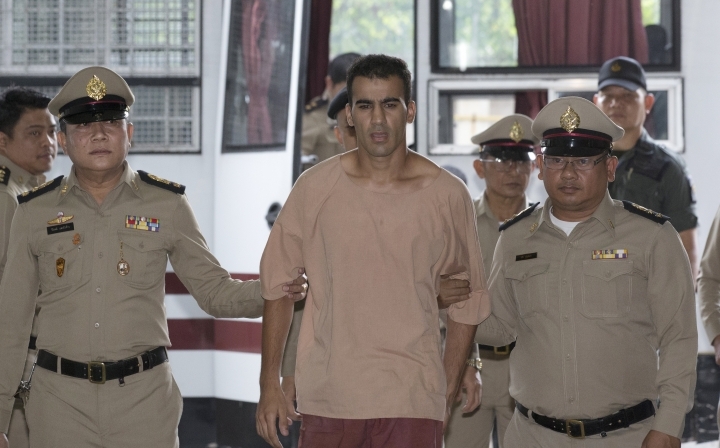 Hakeem al-Araibi spoke as he arrived Monday at the Bangkok court hearing his case. He said, "Don't send me to Bahrain. Bahrain won't defend me." Soccer governing bodies and rights activists have urged Thailand to let him return to Australia where he lives and plays for a semi-professional team. The court could order another detention while his extradition is processed, or if al-Araibi refuses to return to Bahrain willingly, a trial would be held. Bahrain wants him to serve a 10-year prison sentence he received in absentia for vandalizing a police station, which he denies.